Pianist Chun-Chieh Yen has concertized in Europe, Asia, and America, embracing a wide range of repertoire. Making history at age 13 as the youngest pianist to perform in recital at Taipei’s National Concert Hall, his annual concert tours in Taiwan have brought widespread critical acclaim. His rendition of Balakirev’s “Islamey” at the Braunschweiger Kammermusikpodium Germany at age 14 drew significant public attention and received rave reviews. Concerto performances take Mr. Yen to orchestras all over the world including the Russian National Orchestra, Staatsorchester Rheinische Philharmonie, and the National Symphony Orchestra of Taiwan. He has enjoyed collaborations with many conductors, including Mikhail Pletnev, Henry Mazer, Uri Mayer, Shao-Chia Lü, and Günther Herbig. Mr. Yen has given concerts in leading venues worldwide, including Paris's Salle Cortot, the Grand Philharmonic Hall in St. Petersburg, and Alice Tully Hall in New York. In recent seasons, he has been a regular participant in international music festivals including the Schleswig-Holstein Musik Festival, Braunschweiger Kammermusikpodium, and Piano Festival Ferruccio Busoni. Mr. Yen’s debut album, released in December 2007 on Universal, earned him the award of Best Classical Performer at the 19th Golden Melody Awards in Taiwan. In recent seasons Mr. Yen has complete different projects in concerts including performing Chopin complete 27 Etudes in one recital; premiering Tchaikovsky Piano Concerto No. 2 in Taiwan; recording Qigang Chen’s Piano Concerto “Erhuang” on Naxos, and giving three different recitals on one day in “One Day Piano Festival x 3”. Mr. Yen began his piano studies in Taiwan with Prof. Rolf-Peter Wille. After winning Third Prize at the International Youth Tchaikovsky Competition in St. Petersburg in 1997, Mr. Yen furthered his education at the Hochschule für Music und Theater Hannover in Germany under the tutelage of Prof. Vladimir Krainev where he earned his Konzertexamen degree. He was then given a full scholarship to study with world-renowned pedagogue John Perry at the Colburn Conservatory of Music in Los Angeles. He has won numerous prizes in competitions, including First Prize at the 4th Hamamatsu International Academy Piano Competition in Japan (1999), and Third Prize at the 4th Prokofiev International Competition in St. Petersburg (2004). He also received the "Prix de L'Ordre du Merite" in Luzern, where he was praised by Maestro Alexis Weissenberg. Mr. 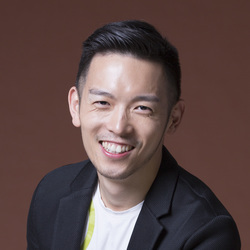 Yen is currently full time Assistant Professor at the National Taiwan Normal University; his students have won top prizes at international competitions.